21 Savage was driving recklessly and on a path to slam into a fully-marked cop car and that’s why he was pulled over on the day he was taken into custody, and it looks like cops believe he was in possession of a fully-loaded Glock … this according to the police report. According to the docs, 21 Savage was in a red Dodge Challenger that cops say drove across the sidewalk in an attempt to get onto another street. The cops pulled the car over and ATF agents — who were also on scene — ordered 21 to stop and throw the keys out the window. According to the report, 21 threw the keys out, along with a bottle containing an unknown substance. 21 got out of the car and was immediately handcuffed and taken away by ATF. 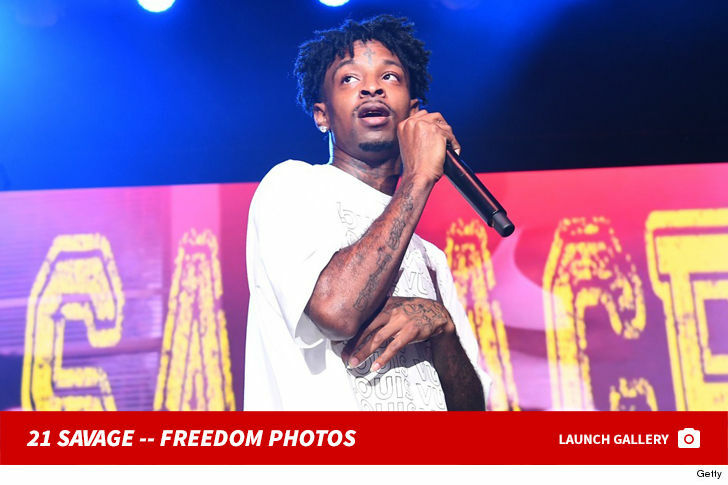 The police report has an evidence inventory section and lists the firearm — the fully-loaded Glock — as connected to 21 Savage. The gun was found in the glove box in the Dodge 21 was driving. It had an extended magazine. In the center console, there was a styrofoam cup containing an unknown substance. As for the bottle that was thrown out of the car … cops don’t say what was in it but it was taken into evidence. What’s unclear … how ICE got involved. We had been previously told ICE directly took 21 Savage into custody at the scene, but according to the various documents, there were a variety of law enforcement agencies involved — DeKalb K-9 Unit, Vice Unit, Narcotics Unit, ATF, Georgia State Patrol and the DeKalb 90 Unit … but no mention of ICE. A source at ATF tells ICE was there, but for some reason, the agency is not listed on the report. 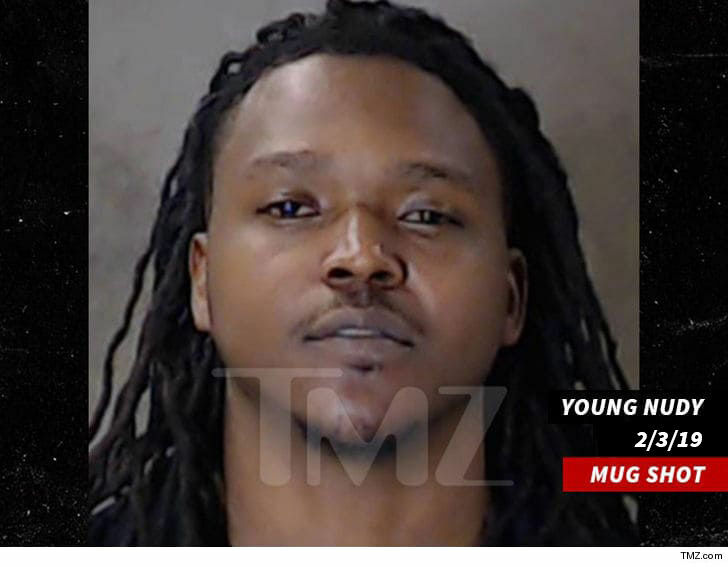 And, the documents say the target of the operation was actually another rapper — Young Nudy — who was in a separate car driving alongside of 21 Savage. There were actually 3 cars involved in the arrest and cops say all of the people inside were connected. One guy — Kalil Smith, who was in a different car from Savage — was driving with an M4 rifle in the floorboard with the muzzle pointed in the direction of the officer.